This frame from a time-lapse image sequence clearly shows a bright meteor (or Bolide) streaking across the frame in addition to the Big Dipper asterism above the Gemini North dome. To the left, the Pleiades star cluster sets over the Subaru and Keck observatories (Subaru is the name for the Pleiades in Japan, in Hawai‘i it is known as Makali‘i or ‘little eyes’). This scene appears bright due to illumination from the nearly full moon. 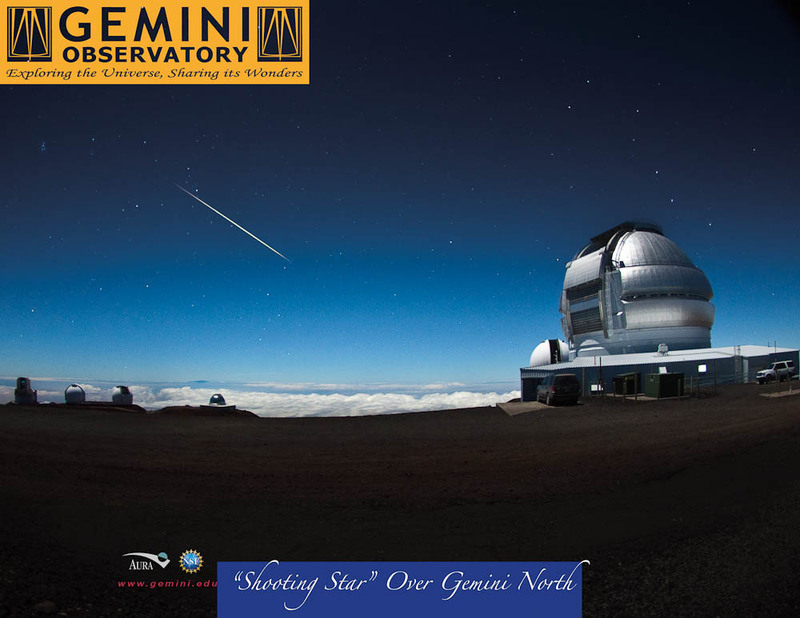 The Frederick C. Gillett Gemini North telescope is located on Hawaii’s Mauna Kea as part of the international community of observatories built to take advantage of the superb atmospheric conditions on this long dormant volcano that rises 4,214 meters into the dry, stable air of the Pacific. 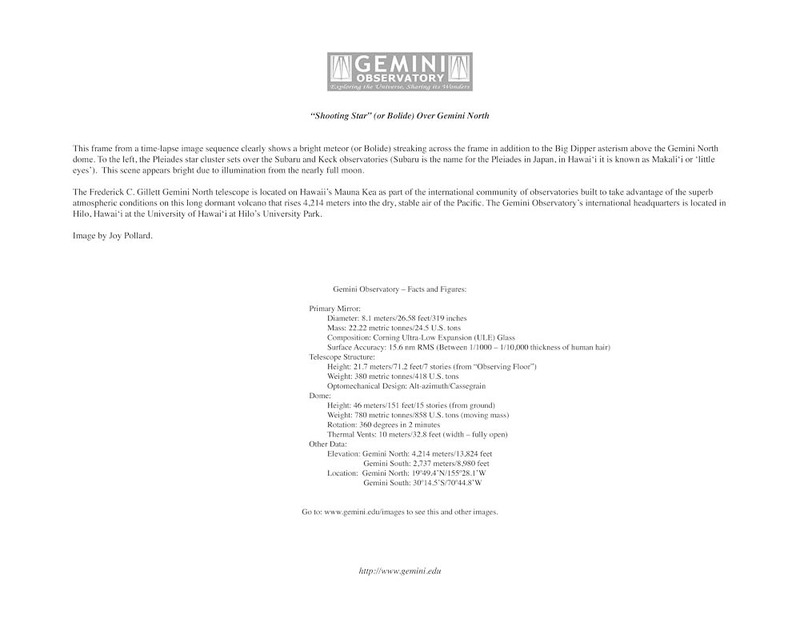 The Gemini Observatory’s international headquarters is located in Hilo, Hawai‘i at the University of Hawai‘i at Hilo’s University Park. Print downloadable as: Print Quality PDF (1.8 MB) Full Resolution TIFs Front/Image (25.4 MB) | Back/Text (25.3 MB) Medium Resolution JPGs Front/Image (168 KB) | Back/Text (147 KB) Gemini Observatory Image/Video Usage Policy Image is available without text here.